Liverpoolmania - LFChistory - Stats galore for Liverpool FC! Liverpool's return to the First Division in 1962 was received with the sort of euphoria that greeted our epic Champions League triumph in Istanbul in 2005. There wasn't an open topped bus parade but the excitement that the achievement generated reverberated throughout the city. This was just before the phenomenon that was to be The Beatles arrived. It was a relatively short time since the end of World War II and the city was only just beginning to get back on its feet after the deprivations that it had suffered at the hands of Herr Hitler. There was still an enormous amount of rebuilding to be done and there wasn't a lot of money about. We had spent 8 seasons in the 2nd Division and Everton, who changed places with us when we had been relegated in 1954, hadn't enjoyed much success in the top flight during this period. Frankly, Merseyside was a footballing backwater throughout the 1950's. We spent most of the decade in Division 2 and Everton struggled to make any impression during the first 5 or 6 years after their promotion. But things were about to change. Just before Tom Williams made the inspired decision to appoint Bill Shankly as our manager Everton took a similarly ambitious step when they made Johnny Carey their boss and both clubs started to make progress after too many years of underachievement. Everton had spent their early years back in the top flight locked into the lower half of the table during the time that we were struggling to make an impression in Division 2. Almost simultaneously the appointment of a new manager saw both clubs starting to flourish. The Blues went from finishing in 14th and 15th place to two 5th place finishes and then in 1962 to 4th place but their chairman, John Moores, decided that this was not good enough. He obviously realised that Shanks was supervising a revolution across the park and he didn't want Everton to be left in the wake of their greatest rivals. Carey was famously sacked by Moores in a taxi in London and shortly afterwards Everton appointed Harry Catterick as their new boss. What followed was footballing delight for those of us who supported Liverpool and Everton. Our first season back in the big time had seen us finish a creditable 8th but the trouble was that Catterick had won the Championship for the Blues and most of us were unsure as to whether this fellow Shankly could lead us any further than he already had. We need not have worried! Shankly and Catterick locked horns and Merseyside became the footballing capital of England. The Reds and the Blues were both successful in 1966! 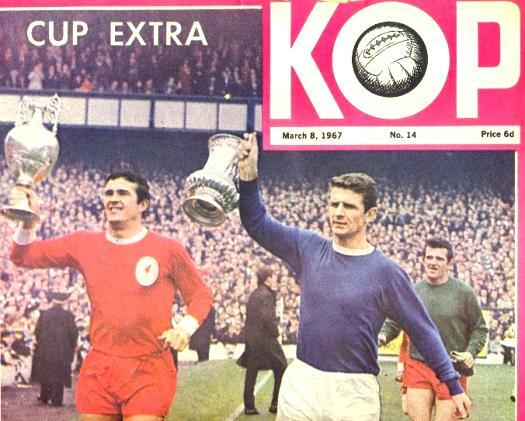 What a magical time that was with us finally getting promotion in 1962, Everton being crowned league champions in 1963, LFC following in 1964, our never to be forgotten FA Cup win in 1965, followed by us winning the League Championship again in 1966, the same year that Everton came back from 2-0 down in the FA Cup Final to beat Sheffield Wednesday. One way and another the sixties belonged to the city of Liverpool and it is the second of Shanks' great First Division championship triumphs in 1966 that I enjoy recalling. The season got off to a good start with an away victory at Leicester City, something of a rarity in those days, as their magnificent goalkeeper Gordon Banks used to reserve his very best performances for games against the Reds. However the first home game against Sheffield United resulted in a defeat and we all thought that the previous season's achievements of winning the FA Cup and reaching the semi final of the European Cup was maybe as much as we could realistically expect. But we had underestimated Shankly's insatiable desire for success. He had incredible faith in his ability to pick out a player who would improve his team and unless a player would improve what was already there he would stick with what he had. Prior to the previous Cup winning season he had only bought Geoff Strong from Arsenal and what a nugget he turned out to be. He was signed as a centre forward but was converted into a magnificent midfielder who played a crucial part in the Wembley triumph as a stand-in for the injured Gordon Milne. Before the current season he only bought one player, John Ogston, always known as 'Tubby', who was signed as a back up goalkeeper to Tommy Lawrence and who was destined to play only one game for the first team. However there was a new player to all intents and purposes. 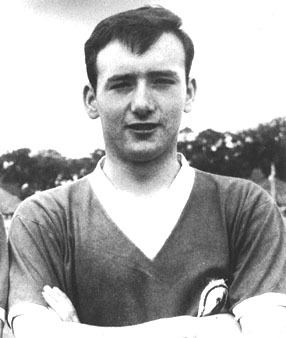 Tommy Smith had been introduced to the first team the previous season and had played outstandingly well as Ron Yeats' partner in the Cup Final but in the 65/66 season he established himself as an ever present.